This is a chain restaurant with 4 branches in Auckland and another in each of Wellington, Hamilton and Christchurch. 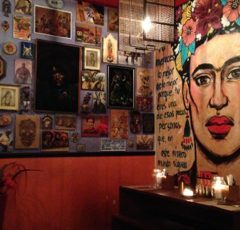 The one in Britomart and others around the country have been recommended and they offer the same menu and set up, so the other branches should be good too. Let me know here if you’ve visited the other Auckland branches. 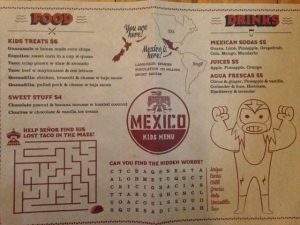 There’s a kids’ menu which doubles as an activity page (maze, colouring and word search) and offers simplified dishes from the main menu but without the spice. It seems to be much healthier than your average restaurant (I didn’t see any chips on the menu)! Address: 23 Britomart Place, Britomart, Auckland CBD. There are also branches in Sylvia Park (Shop 67, 286 Mt Wellington Highway tel: 09 573 5829) Takapuna (4 The Strand (McKenzies) tel: 09 489 6781), Ponsonby (164 Ponsonby Road tel: 09 280 3919) and Ellerslie (Corner Ladies Mile & Main Highway tel: 07 211 7338) which we haven’t visited but all have the same menu and general set up.